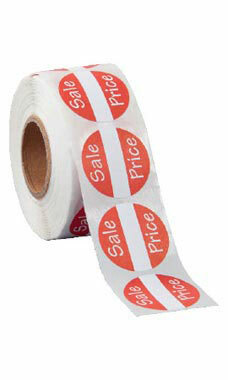 Self-Adhesive Sale Price Labels are an excellent choice for sale promotions. The 1” diameter label will get your customer’s attention with every item the label is attached to. Each label features a red background with Sale Price in white writing. There is a white strip through the middle that for pricing to be written in. Sale Price labels are sold on a roll of 500.